take a stroll in Frankfurt's old town -- Römerberg -- past the Ostzeile, a half-timbered 15th reconstruction, and Alte Nikolaikirche, an early Gothic church built in 1290. Like museums? The Museumsufer district, clustered on both sides of the Main River, educates folks in Jewish history, Roman art, film and anthropology. (Walk the river on Saturdays for Frankfurt's famed flea market.) How about books? Frankfurt hosts the largest book fair in the world every October with publishers from around the world. Decompress from all this heady stuff at a nightclub (located in former bomb shelters and breweries) or one of Frankfurt's large array of hotels, from rural castles to city center skyscrapers. The financial city goes hand in hand with old town, Römer are one point of interest, and some parks near Berger strasse. Frankfurt is a financial center in Germany. A lot of the older architecture was destroyed in WWII, but there is a smaller altstadt or old city. There are some really creative buildings. The city has several museums, and most are clustered on the south bank of the Mainz river that runs through the city. Lots of good restaurants as well. This city really depends on when you visit as there isn't a huge amount to do and it can be labelled as a bit soulless compared to some other more exciting German cities. However, come in December when the Christmas markets are in full swing and you will find that there is plenty to keep you occupied. The markets are excellent and photogenic, the Zoo is excellent and there are some great restaurants. Stayed here on a one night stop over back from Edinburgh. Has a good feel to it but unfortunately I was here on a Tuesday night in mid January when not many people go out and especially since the Christmas season is over and everyone is resting. The skyline is beautiful at night and there are plenty of things to see. The people I met were very friendly. I has a blue collar feel to it which I like. A good honest working mans city. Most people know Frankfurt because of its international airport, but it's city is worth spending a day or two in when you're flying through. Stroll beside the River Main and check out the Römerberg while you're in town. There is a lot to see in Frankfurt. Thrill in the midst of ancient towers and modern skyscrapers, walk along the Main River, visit the Palm Garden, parks and even visit the Zoo. See a lot on your very first day with a Hop On Hop Off bus tour (City Tour Frankfurt) -$18 for all day – ride the circuit with a professionally recorded narration synced to the busses movement – ride it again – and hop off to explore, hop back on for the next stop. Then, if you are mobile (and with Germany’s train system, everybody is) explore Hesse on your way towards Fulda. Everyone talks about Berlin, but the real power within the country emanates from this city. And it knows it. 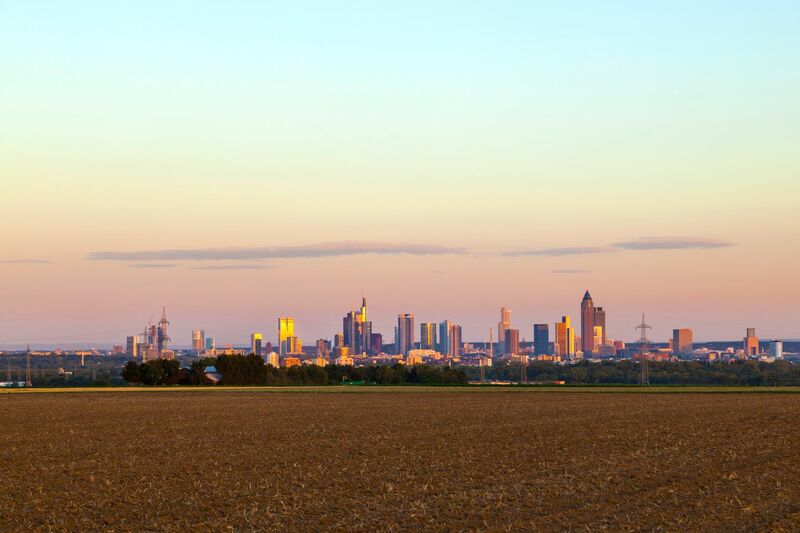 Frankfurt is a true multicultural melting pot, a startup city, a foodie and history buff city, and it's a rich city. Center of the '68 student movement in Europe it also bred Germany's home-grown anarcho-terrorists and about every left politician studied, squatted, plotted, or did drugs in this town in their youth. Frankfurt's Red Light district is one of the safest and cleanest in Europe, its Sachsenhausen Old Town is quaint and even has the world's only Hooters in a historical building. I was in Frankfurt for just a weekend on the way back from a trip to Russia. I was enthralled with the city, enjoying the architecture, the food, and the German people. It's been many years since I was there. I went as a teenager with my school choir to perform with our sister school in this city. I remember performing but I can't remember much of the city. I wish I could remember more. It seems I might have to make a trip back to Germany someday to explore as an adult.